Your focus as a physician should be to keep patients healthy. Instead you find yourself wondering if their insurance paid you for last month’s visit or if your staff is even following up on the denials and billing issues that are most likely piling up. Reimbursements are decreasing, costs are rising, and new compliance regulations are harder to understand and comply with. There’s more pressure than ever to optimize your billing operation. It’s for these reasons that you may spend many a sleepless night worrying about when your biller will go on vacation, what to do if turnover occurs, or who to call when the OIG comes knocking on your door. Applied Medical Systems eliminates the headache of in-house billing by providing technology-driven medical billing services that can make your practice more efficient, more profitable, and more compliant. The costs of in-house billing can far exceed that of outsourcing. You must take into account the hiring and training of employees, installing and maintaining hardware and software, and the potential cost of lost revenue from inadequate billing processes. Plus, we don’t get paid until you get paid which means we’ll work hard to collect for you. AMS has collaborated with a variety of technology partners to maximize our ability to submit clean claims, collect patient payments online and reduce (or even eliminate) denials. 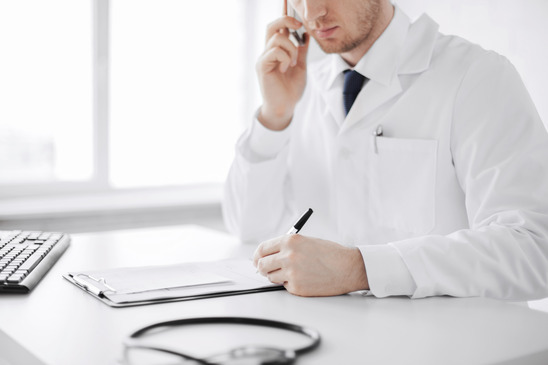 Denials can make up to 30% or more of a practice’s billing. That can be overwhelming for any biller to process, which is why AMS utilizes a unique progressive denial prevention system that currently allows us to submit clean claims more than 95% of the time. AMS uses front end rules and edits specific to providers and payors to get the claim paid the first time. However, when pesky denials happen, we utilize a paperless denial queue that allows us to resolve denials more efficiently, effectively and faster. And then we write a rule or edit so we don’t get that same denial again! Our technology is just one part of what makes AMS unique. We also pride ourselves on maintaining close relationships with our clients. The kind of relationship where, when you call our office, you speak to a familiar voice. Someone who knows and understands your practice. The same service is extended to your patients who will always speak with a U.S. based billing specialist when they have questions or concerns regarding their account. AMS provides total outsourced medical billing services that will maximize your profits while reducing the amount of time, money and headaches spent to collect them.